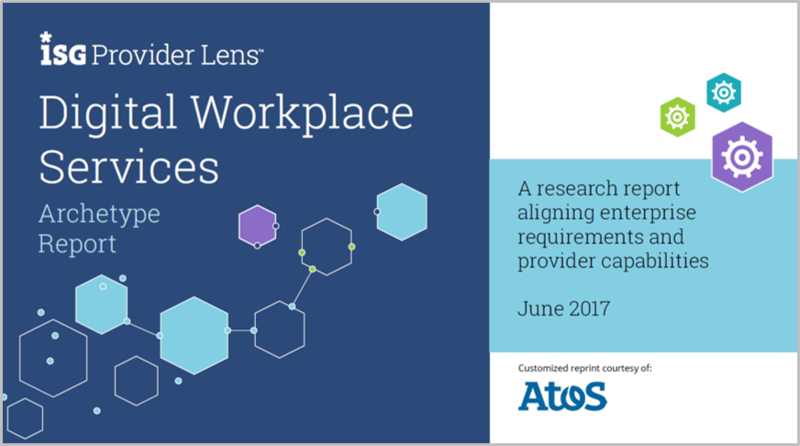 In a study conducted by the global independent research company iSG, Atos has been ranked as a leader among Digital Workplace Services provider for all Five Workplace Services Archetypes. (User archetypes are common categories of users that share the same needs). Atos is one of only two providers ranked as leader for all 5 user archetypes. Find more information about Atos Digital Workplace services here.